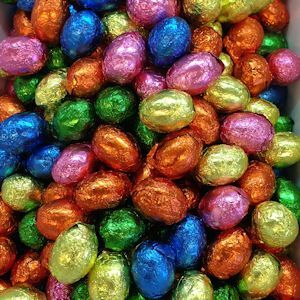 Home / Products / Seasonal / Easter Candies & Pops / Dark Chocolate Foil Eggs, 1 lb. Foils cover these dark chocolate lovers’ Easter treats. Foiled in assorted solid jewel-tone colors.